Researchers say they have discovered 52 new genetic changes linked to osteoarthritis, which doubles the number of genetic regions associated with the disorder. A team from the Wellcome Sanger Institute, GlaxoSmithKline, and colleagues analyzed the genomes of over 77,000 people with osteoarthritis and reported their findings (“Identification of new therapeutic targets for osteoarthritis through genome-wide analyses of UK Biobank data”) in Nature Genetics. 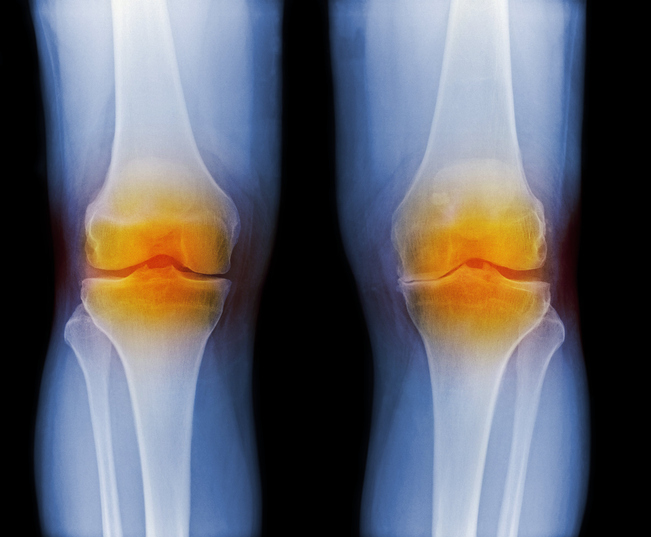 The scientists believe their study could help identify starting points for novel medicines and highlights opportunities for existing medicines to be evaluated in osteoarthritis. “Osteoarthritis is the most common musculoskeletal disease and the leading cause of disability globally. Here, we performed a genome-wide association study for osteoarthritis (77,052 cases and 378,169 controls), analyzing four phenotypes: knee osteoarthritis, hip osteoarthritis, knee and/or hip osteoarthritis, and any osteoarthritis. We discovered 64 signals, 52 of them novel, more than doubling the number of established disease loci. Six signals fine-mapped to a single variant. We identified putative effector genes by integrating expression quantitative trait loci (eQTL) colocalization, fine-mapping, and human rare-disease, animal-model, and osteoarthritis tissue expression data,” write the investigators. To discover which genes cause osteoarthritis, the team incorporated additional functional genomic data and analyzed gene activity by measuring gene expression down to the protein level. The team integrated genetic and proteomic data on tissue taken from patients undergoing joint replacement surgery. By incorporating many different data sets, scientists were able to identify which genes were likely to be causal for osteoarthritis.